UYU beat EG 3-1 in the only other match of the day. Division A action in the 2019 CWL Pro League resumed today—and we saw both winless teams fall to 0-4 on Monday. Gen.G entered the day as one of two undefeated teams in Division A, while Luminosity were shockingly 0-3. But Luminosity opened the matchup with a strong 250-147 win on Frequency Hardpoint—everyone on Luminosity had a positive kill-death ratio and at least 22 kills. 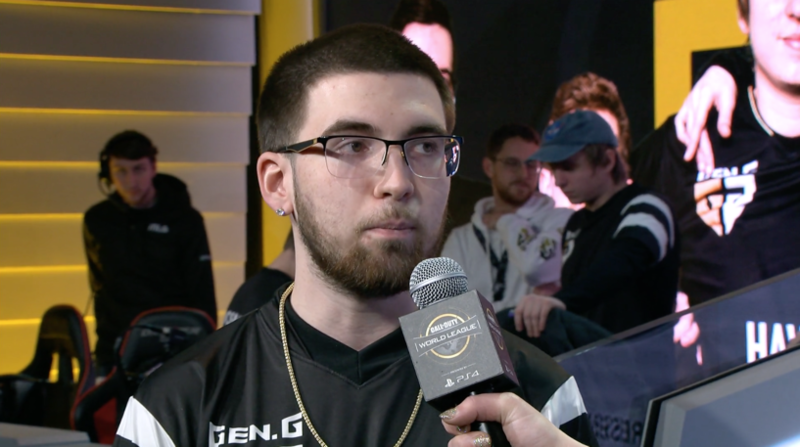 Chance “Maux” Moncivaez helped Gen.G bounce back, though, with a 13-kill performance leading his squad to a 6-3 victory on Gridlock Search and Destroy to tie the series up at one map apiece. Gen.G then jumped out to an early 2-0 advantage on map three, Frequency Control. But Luminosity mounted an impressive comeback, winning three-straight rounds to take the map and a 2-1 lead in the series. Michael “SpaceLy” Schmale and crew refused to go down without a fight, however. Gen.G won Gridlock Hardpoint 250-168 to force a decisive game five. Luminosity controlled the start of Frequency Search and Destroy, though, thanks to an impressive one-vs-two clutch by Peirce “Gunless” Hillman. After Luminosity jumped out to a 3-0 lead, Gen.G responded by winning six rounds in a row to secure the 3-2 series victory. In the only other match on Monday, UYU took down Evil Geniuses 3-1. Despite a dominant 250-38 victory by EG on map one, Gridlock Hardpoint, UYU took three-straight maps to win their second match of the season. The CWL Pro League will be back in action tomorrow, Tuesday, Feb. 12 starting with Midnight vs. Reciprocity at 2pm CT.